Becoming a mom is a life changing experience. Along with the instant love and all night snuggles (not to mention sleep deprivation!) you might also start noticing some changes in your relationships. You might start to find yourself drifting from childless friends or feeling isolated at home. 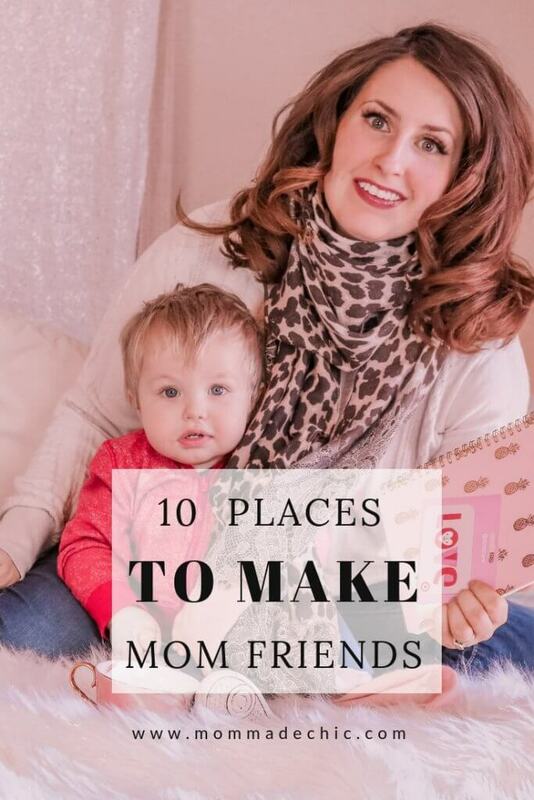 I’ve heard so many times that finding mom friends is like dating and its true! First, finding the gumption to leave the comfort of your sweats and getting out of the house can be hard when you are always so tired. And then when do you get out of the house it can be hard to put yourself out there, introduce yourself, and face rejection. You head to the park and see a mom with kids your age. You want to head over and introduce yourself but hear this little voice in your head that says, “She’ll think I’m a weirdo!” Maybe you do talk yourself out of the fears and head over to say hi but the conversation quickly fizzles. Finding other moms with kids your age, similar schedules, and common interests is like hitting the jackpot. I can’t promise you won’t face the scene that I detailed above. In fact, if you are truly putting yourself out there I can almost guarantee it’ll happen more than once. 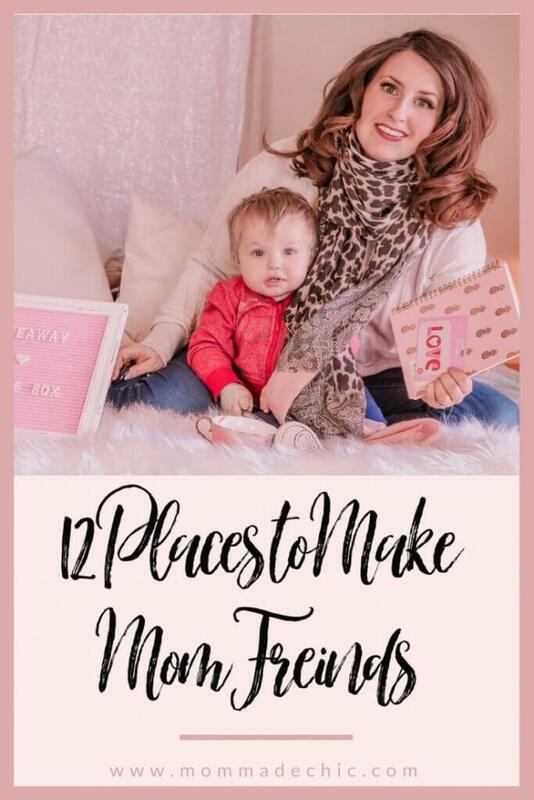 BUT what I am going to do is give you some awesome ideas of where to meet moms with common interests so that you can drastically improve your odds and meet your mommy soulmates. Do I sound desperate? Lol. But seriously, I consider my readers my friends and to show my appreciation for all your support I’m doing a GIVEAWAY!!! 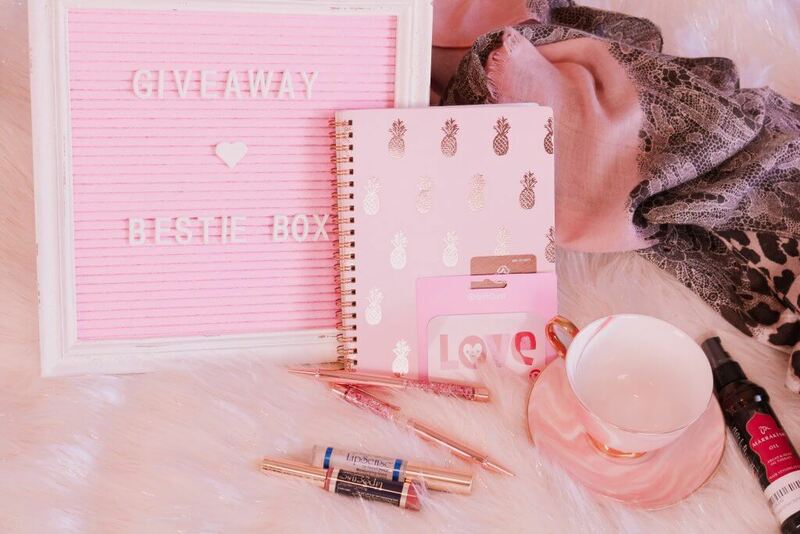 I will be sending one lucky subscriber/friend a Bestie Box. 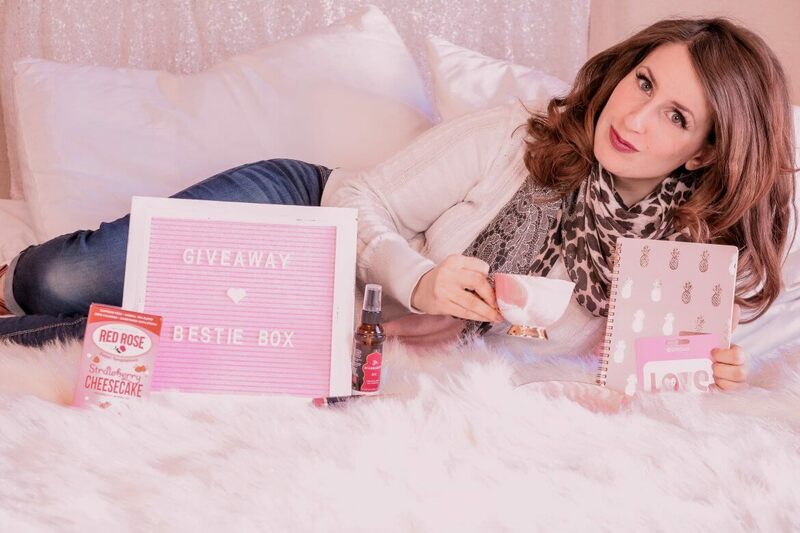 The Bestie Box is a care package that I’ve curated with things that I am loving right now and want to share! I might not know you personally but this is my way of trying to make a more personal connection with you all. 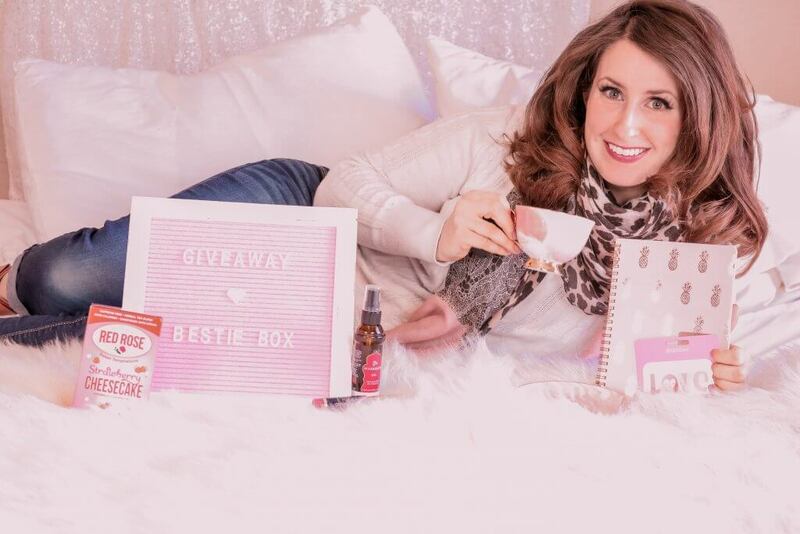 You have successfully entered to win the Mom Made Chic Bestie Box. I know, I know. Above, I just described a complete fail above and it was at the park. I assert that parks are still worthy of being on this list. You will ALWAYS find moms at parks. In fact, I have made friends at the park. If you find a “target” you can start by sending a little smile and asking something like “How old is yours?” or “Do you guys come here a lot?? If the conversation seems to flow and you are enjoying it then don’t let the crucial moment pass you up! Ask to exchange numbers or social media and hint that you would love to do a play date sometime. Its good for your little one to read and the library might just be the perfect place to make a new friend. Libraries often have story times geared towards different age groups. Lap times for very young ones, story time for toddlers and preschool aged kids, and after school activities for older children. This makes it sooooo convenient to narrow down your scope when you’re on the hunt. Many cities, even small ones, often have activities organized for kids. These are often not very well advertised but can be a treasure trove for getting the kids out on a budget and meeting new people. And bonus, because they are not always well advertised, the people who are going to these types of events are generally quite outgoing and likely willing to make new friends (stereotype much?). Mom’s clubs can be great resources for meeting lots of moms all at once. It can be intimidating to go but trust me, just do it! If you’re feeling shy go anyway and feel free to just sit back and soak things in. There is time to ease in and get to know people. 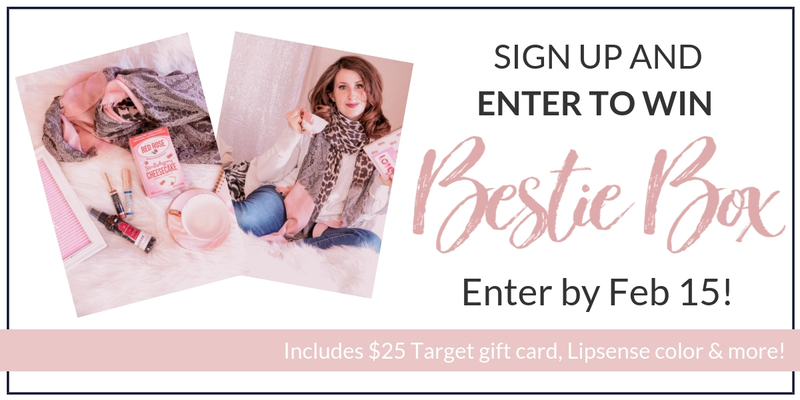 You might not click with everyone in a large group like this but the odds are in your favor of meeting at least a couple of other moms who are just your type. When I first joined my local MOM’s Club I was intimidated. I had never heard of the organization. When I was told that there was paperwork and a fee to join I thought, “These moms seem pretty click-ish!” I just thought that this was a group of moms that were very selective about who they let into their group. I didn’t care because I needed friends! When I went it turned out everyone was super inclusive and they were required to do the paperwork and $20 annual fee by the organization. Not scary at all! I even ended up being on the presidency for a year. If large national organizations don’t seem like your jam then hop on Facebook. Many moms are like you, looking for friendship. Some of these brave moms even start Facebook pages and groups for meeting local moms. The benefit to these is that they can seem more personal and tight knit. The downfall? They are less structured than the official groups so if they don’t have lots of members or an active admin they can fizzle out. Another place to check out is Meetup.com This is a site dedicated to meetups. I honestly haven’t had much luck with this site as I have lived in smaller cities but if you live in a larger city this could be a good win for you. Did you know there are Tinder-like apps for meeting mom friends!?! This is another one that I’ve tried without much luck but like I said, we’ve tended to live in rural areas. If you live in a big city this could be a fun thing to try out. Are your kids a little older? Get them into some sports, dance, swimming, art, karate classes, whatever! Just get them in a class or two and you are sure to meet some of the other moms wallflowering it up who have kids with similar ages and interests. Your kids will be active and happy. You might just score yourself a little free time while they are in class. And of course you can interact with the other moms should you so choose. Another way to make new mom friends is to volunteer. 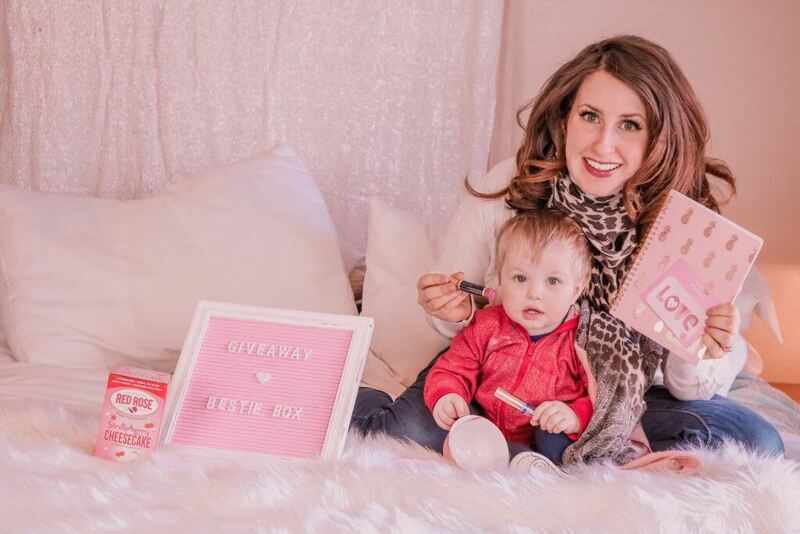 Not only do you score some brownie points but it can be a great way to find other moms who care. Possible places to volunteer are at your kids school, local parks, hospitals and nursing homes. If you are at all religious then find yourself a local church. They can provide a great community and the people you meet there will probably have similar values. Churches also tend to do lots of activities and community outreach and might just prove to be the perfect place to gain that social interaction that you have been oh so desperately craving. All of the earlier suggestions are very kid oriented but sometimes you need some pure adult only time or your schedule simply doesn’t work with daytime activities. Don’t sweat it…or maybe do. Join a gym and go to some group classes if they offer any. If you go consistently you’ll meet the regulars and start to get to know them. You can also join reading groups, knitting circles, running groups, weekly dancing venues, etc. The possibilities are endless but there are groups for all sorts of interests if you’re willing to put in the work to find them. 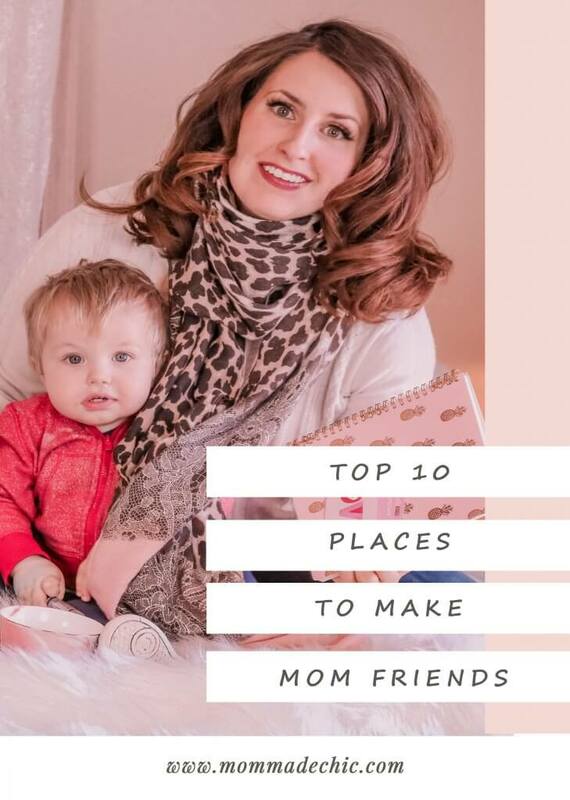 Where are your favorite places to meet mom friends. 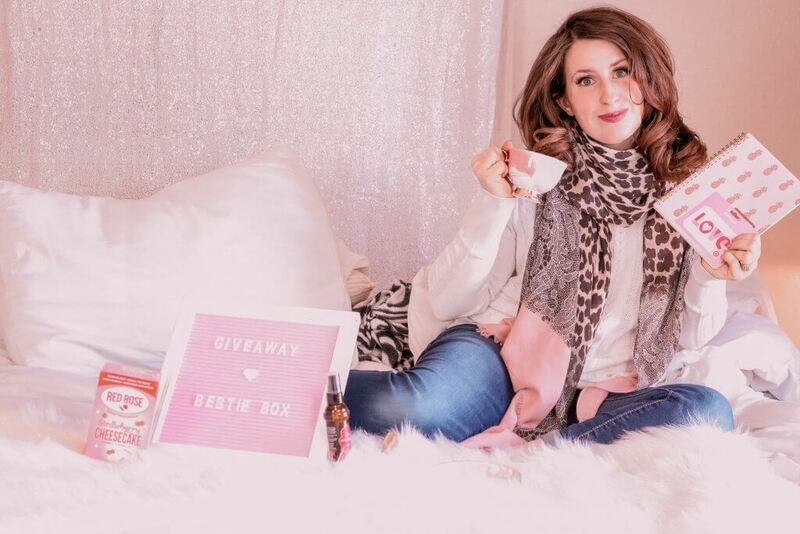 If I’ve missed somewhere let me know and don’t forget to subscribe to be entered for a chance to win my Bestie Box! I am 64 and raised 4 sons in a city I did not grow up in or go to college in. My sons are all adults now 3 living in other cities. Some of their friends mom’s have become my best friends and still are. I met these mom’s through preschool, grade school, neighborhood, etc. One of our sons’ friends spent most of his middle school @ our house on weekends. We never became friends with his parents but some of their friends became our best friends. My son’s are no longer close to their friends in this city but my friendships continue not only with their parents but even with one friend and his fiancee. Make playdates and get to know the moms. Invite her in for coffee/tea. I’ve met other moms through school, library play groups & church! I don’t meet too many new moms these days, but our family ran a street mission for many years which allowed me to meet lots of people, including moms. I had a brain hemorrhage a few years ago, on a Disney Vacation, no less, and I can no longer drive. We are a homeschooling family (I still have two at home). We live in a large military neighborhood and I’m older than my sons’ playmates’ moms, but I have lots of hobbies to keep me busy. Lovely, doable ideas for many. Be prepared for when your youngest graduates and your husband is no longer in the workforce. Make friends that aren’t just tied to your children/ school. Very true! I find that the mom friends that I really gravitate towards and become close with have similar interests like fashion or healthy dieting. I’ve never been but all my acquaintances from Chicago have been wonderful! I find volunteering locally even if it is just at a one day event is a way to meet friends. It is hard though, my son is a teen so playdates are out, lol. Yes, volunteering is awesome. I bet your son would die of embarrassment if you tried to arrange a playdate! Thank you!! I subscribed. I love love love all your ideas! Thank you so much! I’m so glad you liked my ideas! I subscribed to enter the giveaway but not sure it went through. I don’t see you 🙁 Did you use the same email that you commented with? Not sure what went wrong! These are all great suggestions! My favorite is the library…if only because that’s where I met some of my best mom friends when my oldest was a toddler. The library ran a kids Storytime….and we met there and started a playgroup among ourselves. It was so nice to have a support system like that! We’ve all since moved to different parts of the country, but have continued to keep in touch over the years…some of us on a daily basis! And are kids are all headed off to college/adulthood at this point! Libraries really are a treasure trove! I am so glad t hear you are so close to your mommy friends. I hope to be so fortunate! I’m a subscriber! I found out about Moms of Preschools through my local church. It’s through this organization that I met other Moms who lived near me and we would all meet up at the local park or at a persons house is the weather wasn’t nice. Thank you so much for subscribing! Mops is such a great organization and I’m so glad to hear you’ve made such good friendships there! Schools are a great place to meet other moms! Best of luck! I guess it really depends if you even want to meet other moms. If you don’t care to then that’s totally fine! If you do want to but are shy then maybe try something low key like the park or library. You don’t have to talk to anyone if you don’t want to but if you go often enough maybe someone will talk to you! It takes practice but you can do it! Where to meet moms. I didn’t really know of this until my mom did this a few years ago when her babies were just two or three and it’s called a group called “Mom’s Play Group” and you meet at a park starting off or different mom’s houses in the group that is. It’s really fun you make other mom friends and interact with other kids, etc. I’ve gone to a few so it’s really fun and different activities and even plan trips with the kids. Is it a national group or just one your friend put together? Either way, sounds like fun! You like pink? I do! I love it! 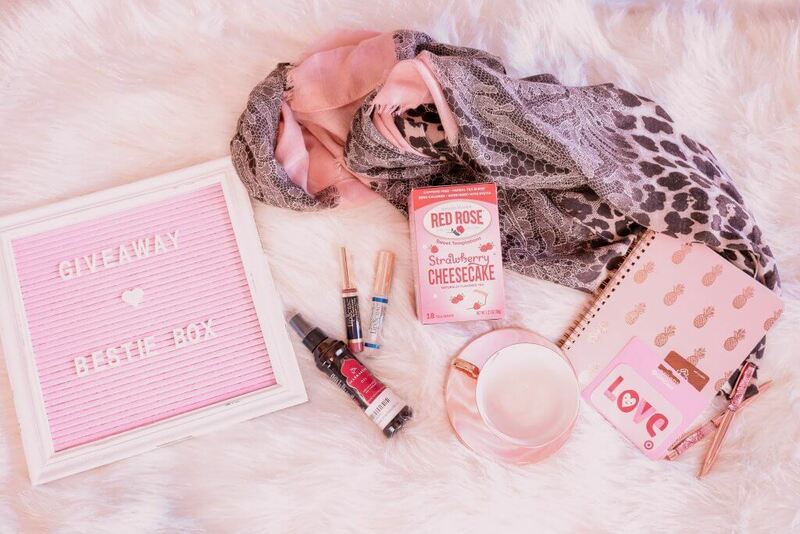 I see tons of pink color on your blog. I could stay here all day. How did you ever guess!?! Haha. I am so glad to have found another pink lover! I’m so glad you liked my post! 💗 Thank you! Thank you so much! It’s always nice to find another pink lover! This is my first time seeing this box… how adorable!! I just love this post and we can all use some new mom friends! Thanks so much for sharing. This is a crazy thing. I met this lady through her recongnizing me from a local mom’s group and I’ve seen her everywhere! So clothing swaps and various kids events in town and we just gotta set up a coffee date to hang out. But seriously it’s hard finding mom friends I feel like I lost alot of friends after I had my son and it’s definitely harder to get together with friends now and trying to find people that have kids the same as as your kids is important! Yes, everything changes with your schedule when you have a kid and I think childless friends can get tired of talking about kids sometimes.😂 It’s nice to have friends with similar schedules/experiences who understand when you have to flake out because your kid’s sick or when you have to leave early for nap time, etc! I love my childless friends too! That’s such an awesome place to meet friends! Not only are you staying healthy but you have a mutual interest besides motherhood! I’ve met other moms on local mom Facebook groups. Also, at the grocery store and at the park. I’ve never thought of the grocery store! Love that idea! I really, really needed to read this today! As a self professed introvert, I have to force myself to reach out to others for real in-life relationships. I appreciate all of these doable ideas! !